Is Your Global Brand Lost In Translation? Brand power—you can’t underestimate it. Consistency matters so that your target audience recognizes your brand from a mile away, even if it’s out of context. For global brands, the challenge goes beyond consistency but rather how to adapt to local tastes, history and needs at the same time. 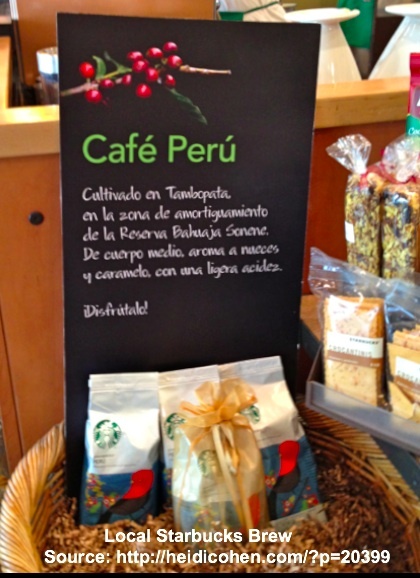 During my recent trip to Peru and Colombia, I was intrigued by how global brands adapted to local audiences. 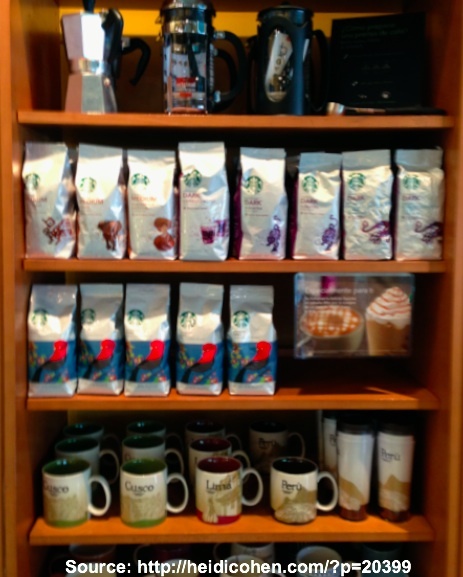 Here are examples of 2 major coffee brands. When Starbucks modified their logo to its current green mermaid in 2011 it attracted a lot of (mostly negative) attention. But since then the brand has remained consistent. While you can find a Starbucks on many corners of major US cities, it was surprising to find an empty coffee stand in an off-the-beaten track tourist site between Cusco and Puno, Peru. Additionally, the mermaid’s crown had a sun disk consistent with the Inca sun god, Inti. Also notable was the use of a Hotmail email address, rather than a corporate Starbucks address. By contrast, except for the use of Spanish and the guard wearing a business suit, step into the Starbucks in Lima, Peru and you could be anywhere in the world complete with the woman complaining about her vente cappuccino. 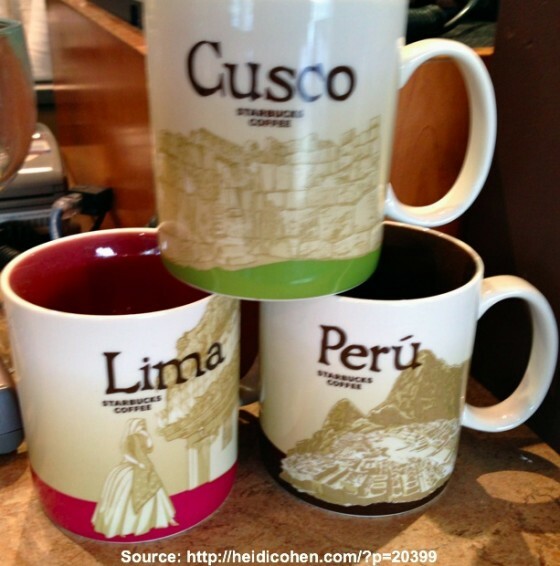 Okay—the pastries were modified for local tastes, there was a Peruvian blend of coffee, and the mugs read Lima, Cusco and Peru. But, don’t take my word for it, look for yourself. 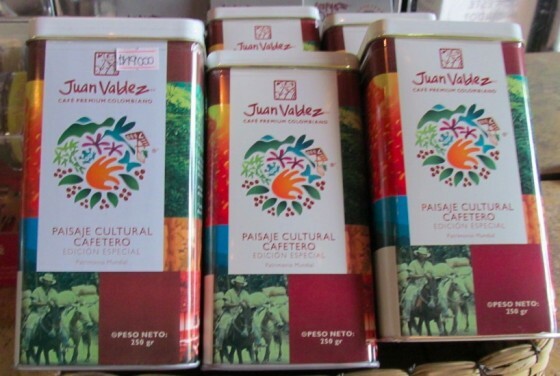 Based on the well recognized logo/personality, Juan Valdez, the Colombian coffee growers created a chain called Juan Valdez Cafe to compete in the coffeehouse market in 2002. The chain sells 100% Colombian coffee and was the place I was told to buy coffee to bring home. 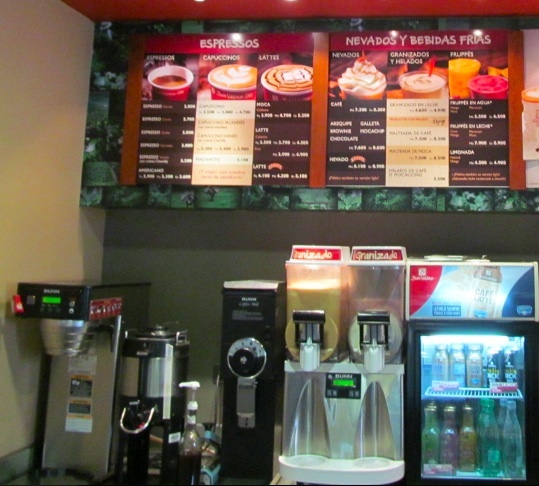 While the Juan Valdez chain has cafes on many corners in Bogota, it has limited cafes in New York. 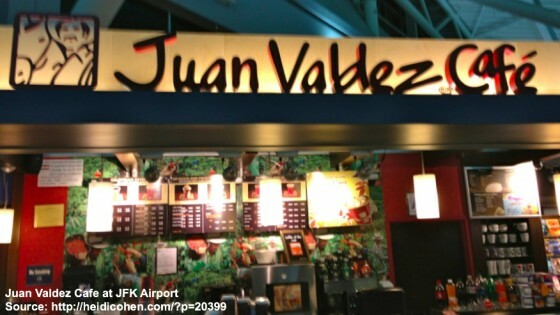 (Note: I’ve only seen it in JKF airport. See the first photo below.) From the outside, you see people sitting like they do in Starbucks (Sorry—no photos). But their signs seem similar to many fast food chains. 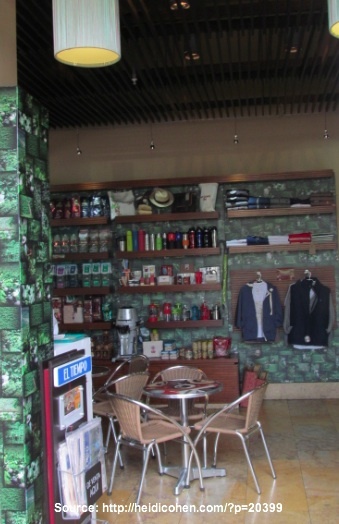 Interestingly, when I purchased 3 pounds of premium priced beans to bring home, the manager told me that I couldn’t take photographs in the cafe/store. 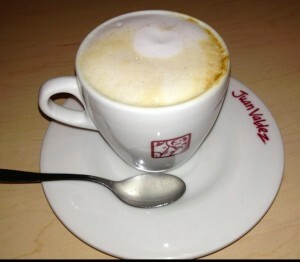 Despite that I was able to get a few shots to show that Juan Valdez Cafes are consistent in their brand presentation. They even sold branded clothes! 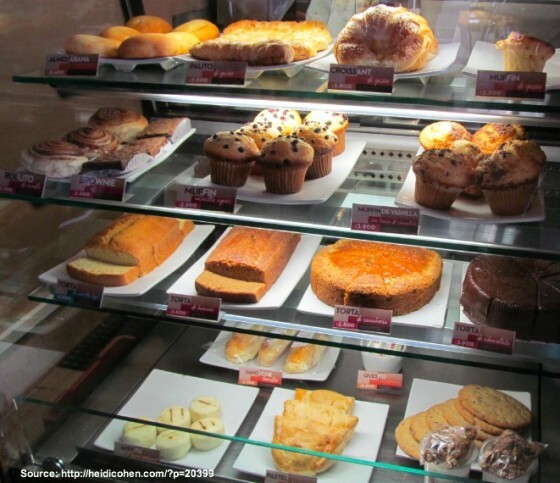 Their pastries were more Colombian that global in nature. 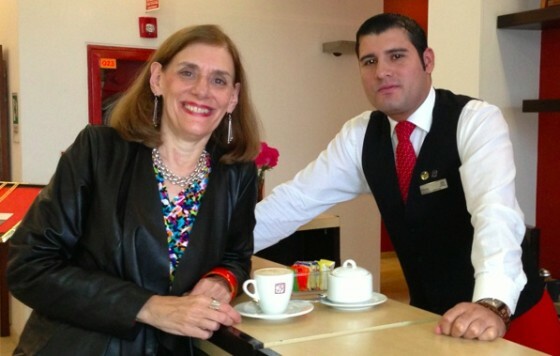 Fortunately, the barrista at the Sheraton Bogota was happy to get his photo taken. 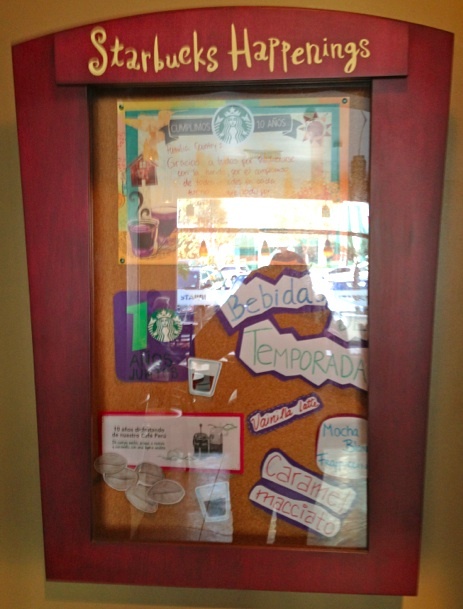 What will be interesting is when Starbucks starts to enter the Colombian market which is planned for next year. The question is how will it adapt to the market and how will Juan Valdez respond. 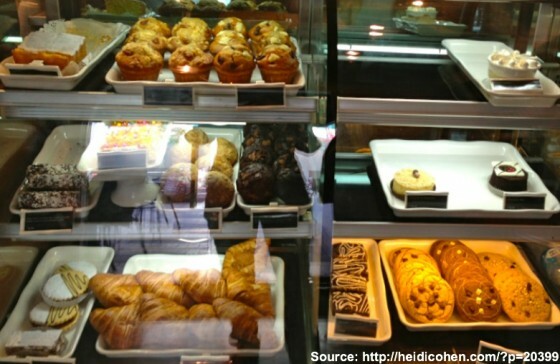 What ways have you seen global brands adapt to local markets? 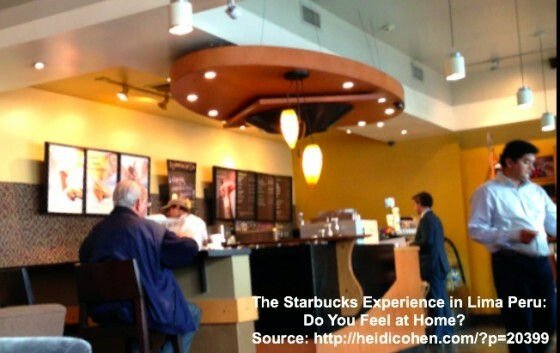 What Starbucks and Ice Sundaes Have in Common – How to Extend Your Brand. Photo Credit: (c)2013 Heidi Cohen – All rights reserved. Limited use allowed if you link to this article. Tags Bogota, Brand, Juan Valdez, Lima, Starbucks. Bookmark the permalink. 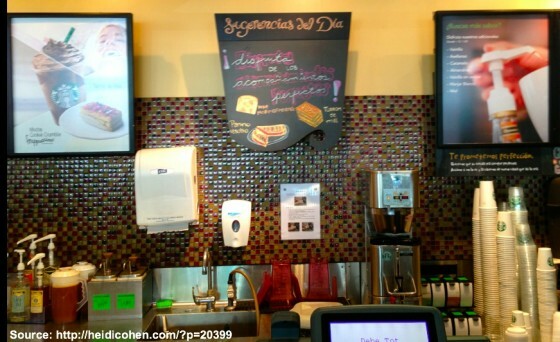 2 Responses to Is Your Global Brand Lost In Translation? 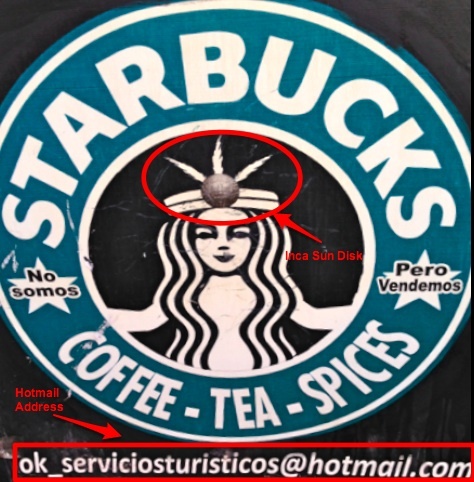 You are clearly not fluent in Spanish , that’s why you made the mistake of thinking Starbucks modified their logo in Peru… In the picture you provided it says on that logo: ” we are not Starbucks, but we sell coffee , tea, spices.